The SukhaMat Comfort-Grip Yoga Mat is perfect for yoga practitioners of all levels who are looking for comfort and stability. 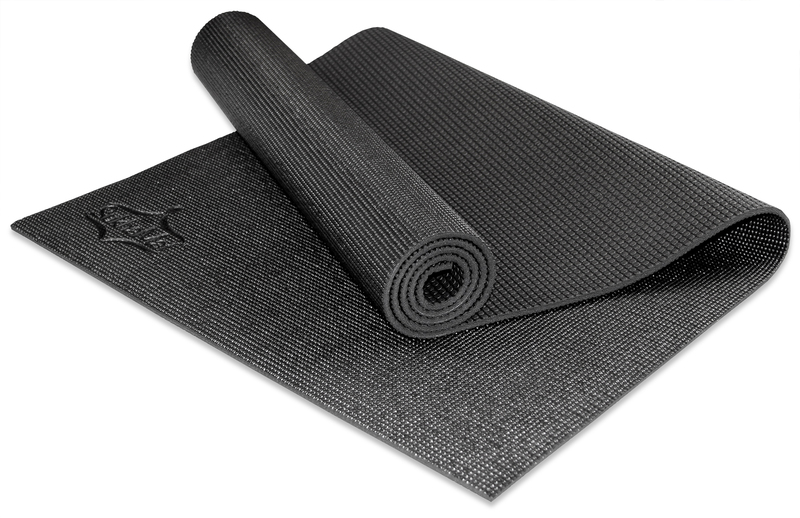 Made with the finest premium-rated, high-density memory foam, our yoga mat provides optimal comfort and protection for your knees and joints. 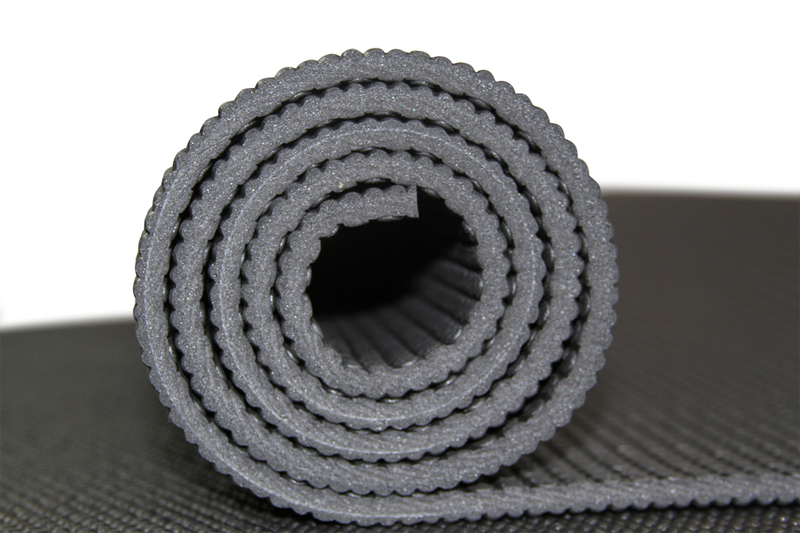 Our mat is lightweight yet highly durable and twice as comfortable as other standard 1/4″ mats. The micro-sphere pattern on the mat’s top-side, combined with memory foam cushion, provides a sure grip for your hands and feet during your yoga practice, without sacrificing comfort. The bottom-side’s specially designed texture helps reduce slipping even on slick surfaces, providing stability for even the most challenging poses! The top-side of the mats micro-sphere pattern combined with memory foam cushion, insures a sure grip for your hands and feet during your yoga practice without sacrificing comfort. The bottom-side of the mat is designed with concentric circles so the mat stays in place no matter how slick the surface may be. Our mat is SGS approved and certified Phthalates free. 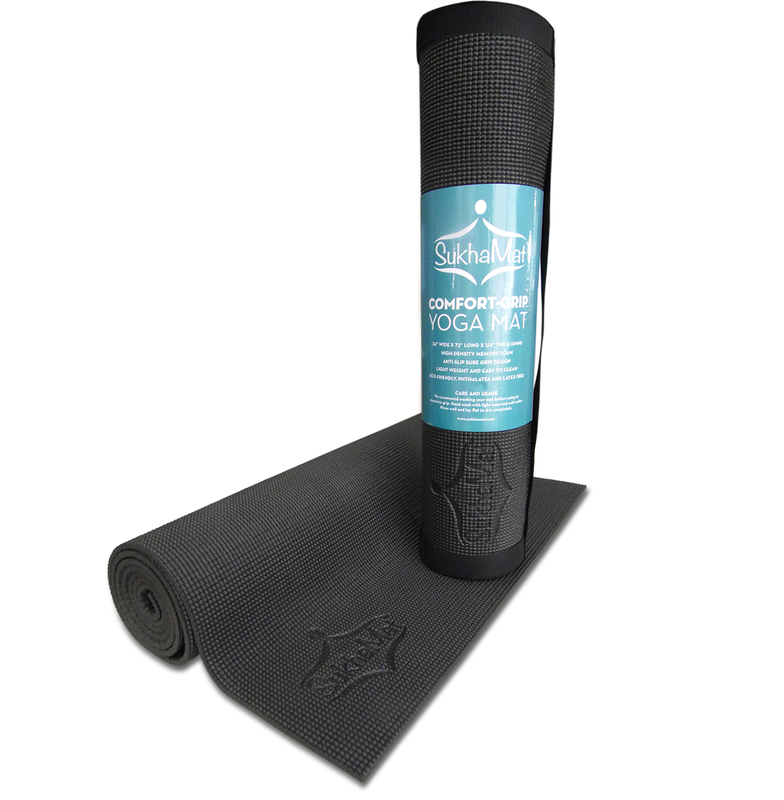 Practice in comfort, knowing your SukhaMat Comfort-Grip Yoga Mat is earth-friendly and free of harmful chemicals and toxins. Complement your SukhaMat Comfort-Grip Yoga Mat with a SukhaMat Yoga Knee Pad. Our knee pad is designed to provide additional cushion for your knees, ankles, sit-bone or any other sensitive pressure points for a pain-free practice. 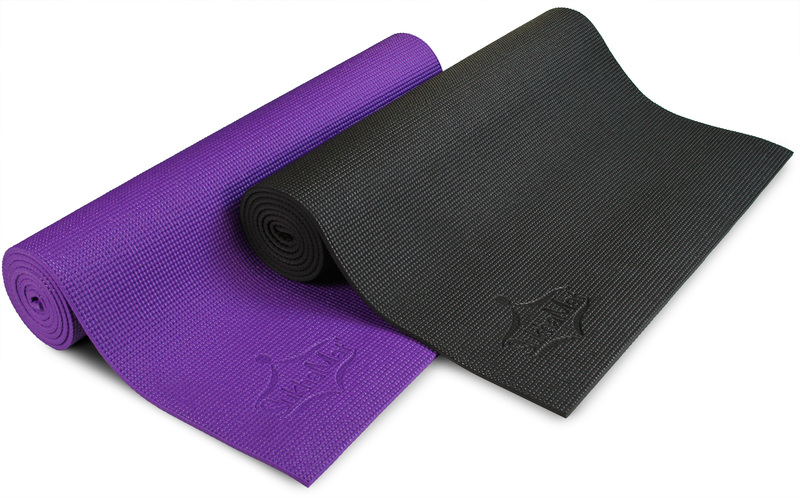 The SukhaMat Comfort-Grip Yoga Mat and Yoga Knee Pad are all you need to practice in comfort! 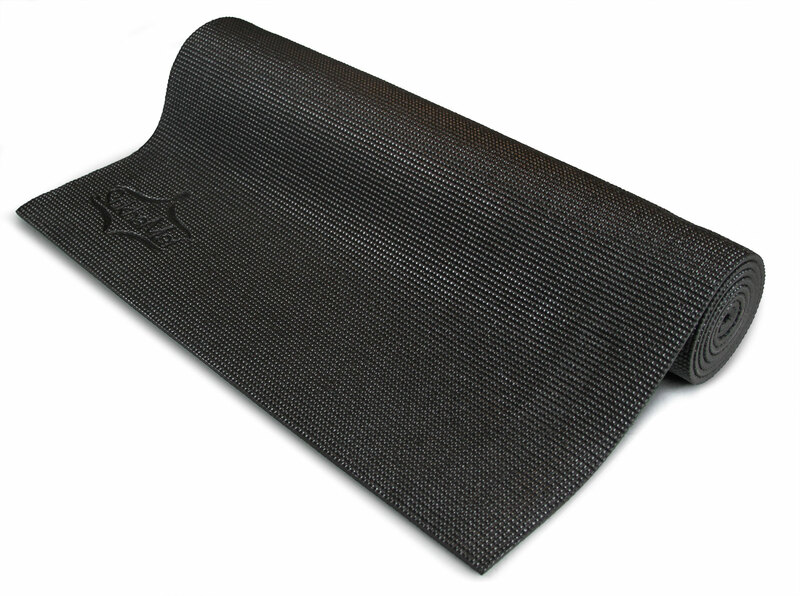 CARE AND USAGE – We recommend washing your mat before using in order to maximize grip. Hand wash with light soap and cold water. Rinse well and lay flat to dry completely.